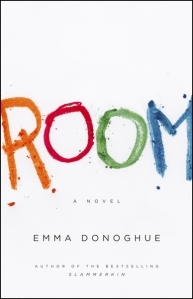 Emma Donoghue’s ‘Room’ has been in the limelight for quite some time now. The most recent reason was because it was the favourite to win the Booker Prize this year. I had resisted the temptation to read it till now; one of the reasons might be because I rarely read Booker Prize winners or nominees – the only Booker Prize winners or nominees that I have read till now are ‘The Sea’ by John Banville and ‘The Inheritance of Loss’ by Kiran Desai. But when I went to the bookstore recently, after browsing for a while and not buying anything (I was on a book-buying ban; you might ask what is the point in going to the bookstore if one is on a book-buying ban – I keep asking that question myself and I don’t seem to have an answer :)), I stumbled upon ‘Room’. 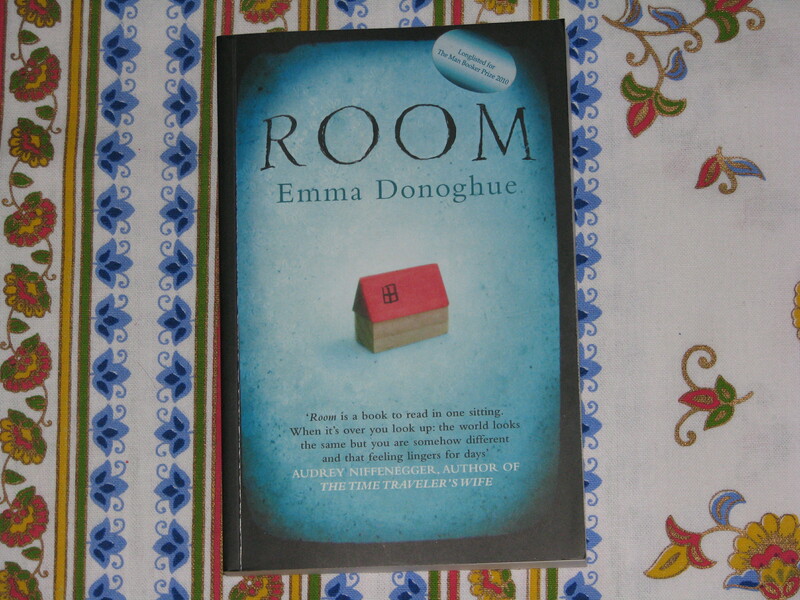 After returning home, I kept thinking of Emma Donoghue’s book and I couldn’t stop thinking about it. I decided then that I will go to the bookstore the next day and get the only copy of Donoghue’s book which was there. I got it, came back and read it for the last few days and finished it yesterday. Here is the review. I find it difficult to write a review without including spoilers, but I will try to do that here. But if there are any spoilers which slip in unintentionally, please consider yourself forewarned. To continue the story in the summary, ‘Room’ is about a mother and a son (Ma and Jack) who live in a room and have no contact with the outside world. Or rather their only contact with the outside world is through a man called Old Nick, who brings grocery supplies once in a week. The mother and the son live, play, read, eat and sleep in the room. The son’s exposure to things which are not there in the room is through programmes on TV, which he thinks are just on TV and not real. Then one day Ma tells Jack that there is an outside world, which has most of the things that come on TV. How did Ma and Jack come to be in the Room? Who is Old Nick? What is the impact of this huge secret, on the existence on the outside world, on Jack’s mind? What are Ma and Jack going to do now? Will they try to get out of the Room to see the world outside? If they do, will they like it? All these questions are answered in the rest of the book. ‘Room’ is one of the most beautiful evocations of the love between a mother and her child that I have ever read. The dialogue between Ma and Jack are some of the most beautiful passages in the book. Jack’s voice as he tells the story is quite unique – it is innocent, it is perceptive, it comes up with insights of wisdom that only children are capable of, and it sings a song which touches one’s heart. I haven’t heard a voice like Jack’s in quite a while – the last time was Scout Finch’s in Harper Lee’s ‘To Kill a Mockingbird’ and before that it was Christopher Boone’s in Mark Haddon’s ‘The Curious Incident of the Dog in the Night-time’. I would like to thank….also my friends…for their suggestions about everything from child development to plot development. I liked the cover of the American edition of the book. This is how it looked like. But the cover of the edition I have (the British edition) is not bad – I like that too 🙂 I am glad that they just changed the cover and didn’t change the title. I loved reading ‘Room’. It made me smile, laugh and cry. It is a literary monument built in honour of love and it is one of my favourite books of the year – I would like to call it my most favourite, but in a year in which I read ‘The Elegance of the Hedgehog’ and ‘To Kill a Mockingbird’ it will be difficult to do that. But it will go into the list of my alltime favourite books and I will read it again – atleast my favourite parts. It is a shame that it didn’t win the Booker Prize this year – it definitely deserved it. I am giving below some of my favourite passages from the book. I am repeating the passages from my previous post in the end, because they are some of my most favourites J Some of the passages have spoilers and so I have put them together in a separate section. Typing these passages took me once more into the world of ‘Room’ and brought me a lot of joy. Vegetables are all real but ice cream is TV, I wish it as real too. If I was made of cake I’d eat myself before somebody else could. …she says pain is like water, it spreads out as soon as she lies down. We watch the medical planet where doctors and nurses cut holes in persons to pull the germs out. The persons are asleep not dead. The doctors don’t bite the thread like Ma, they use super sharp daggers and after, they sew the persons up like Frankenstein. People in books and TV are always thirsty, they have beer and juice and champagne and lattes and all sorts of liquids, sometimes they click their glasses on each other’s glasses when they’re happy but they don’t break them. Word sandwiches always make her laugh but I wasn’t being funny. I thought humans were or weren’t, I didn’t know someone could be a bit human. Then what are his other bits? He’s wrong, actually, I belong to Ma. I kiss her face where the tears are, that’s how the sea tastes. I don’t tell Ma about Spider. She brushes webs away, she says they’re dirty but they look like extra-thin silver to me. Ma likes the animals that run around eating each other on the wildlife planet, but not real ones. When I was four I was watching ants walking up Stove and she ran and splatted them all so they wouldn’t eat our food. One minute they were alive and the next minute they were dirt. I cried so my eyes nearly melted off. Also another time there was a thing in the night nnnnng nnnnng nnnnng biting me and Ma banged him against Door Wall below Shelf, he was a mosquito. The mark is still there on the cork even though she scrubbed, it was my blood the mosquito was stealing, like a teeny vampire. That’s the only time my blood ever came out of me. “Is it Bad Tooth?” I ask. He’s on the top near the back of her mouth, he’s the worst. Ma knows everything except the things she doesn’t remember right, or sometimes she says I’m too young for her to explain a thing. “My teeth feel a bit better if I stop thinking about them,” she tells me. I still don’t tell her about the web. It’s weird to have something that’s mine-not-Ma’s. Everything else is both of ours. I guess my body is mine and the ideas that happen in my head. But my cells are made out of her cells so I’m kind of hers. Also when I tell her what I’m thinking and she tells me what she’s thinking, our each ideas jump into our other’s head, like coloring blue crayon on top of yellow that makes green. The following excerpts have spoilers. Ma finds a concert that’s in a park, not our near park but one where we have to get a bus. I like going on the bus a lot, we look down on people’s different hairy heads in the street. At the concert the rule is that the music persons get to make all the noise and we aren’t allowed make even one squeak except clapping at the end. In the world I notice persons are nearly always stressed and have no time. Even Grandma often says that, but she and Steppa don’t have jobs, so I don’t know how persons with jobs do the jobs and all the living as well. In Room me and Ma had time for everything. I guess the time gets spread very thin like butter over all the world, the roads and houses and playgrounds stores, so there’s only a little smear of time on each place, then everyone has to hurry on to the next bit. “Maybe you’ll enjoy it more next time,” says Grandma. We go through the room that’s called the living room, I don’t know why because Grandma and Steppa are living in all the rooms, except not the spare. “Dad will get his act together in a while,” she says. “Yeah, it’s called being a mother.” Ma nearly snarls it. From my side, I am hoping to explore more of Emma Donoghue’s books – maybe I will read her ‘Slammerkin’ soon.